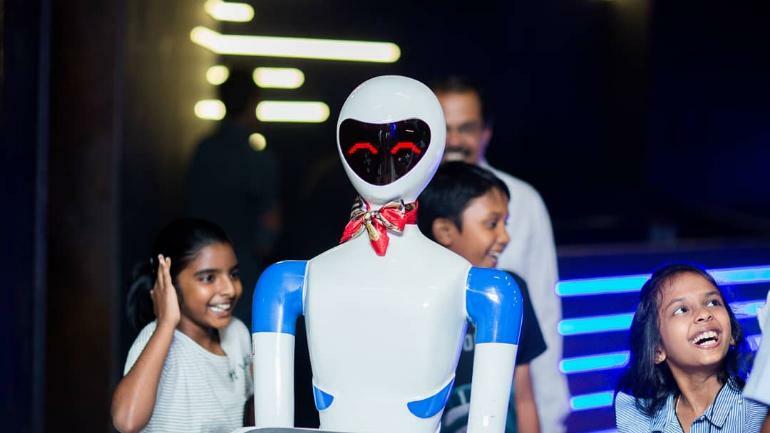 The Robot Restaurant in Chennai's Mugilivakkam-Porur is not your usual dine-in experience. At this restaurant, actual robots have been assigned the job of serving customers food and drinks. Dressed in blue and white attire, the seven robots in service cost Rs. 5 lakhs each. They welcome the customer and offer them with food and drinks, much like what a human waiter would do. Once you enter the eatery, you are greeted by a female robot receptionist who guides you to your reserved table number. The restaurant staff have been trained to operate all the robot waiters in case they malfunction. Once you are seated, a tablet present on your table can be used to order anything from the menu. From there, the order is sent to the kitchen and the robots are informed about the details. They then bring it to your table, hot. The General Manager of this unique restaurant says that they have plans to expand the experience to Bengaluru. The robots, who have not been given names yet, have been designed to operate in two ways - serve food and guide the visiting customers.